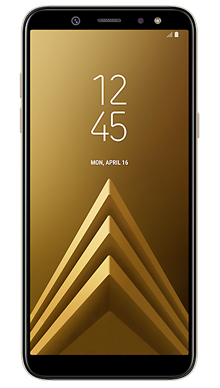 If you have been looking for a Galaxy solution the Samsung Galaxy A6 could be for you, this stunningly designed smartphone is packed with Samsung magic and hits the pocket in the midfield. A 2018 release with plenty to offer. 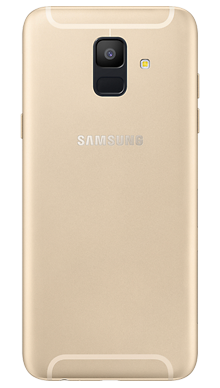 Select your desired options to find the best Samsung Galaxy A6 deals for you. Samsung tends to release several handsets a year, and pitches their new releases at all levels of the marketplace making sure there is something for everyone, this means no matter what your mobile phone need is you can find a Samsung to fit your budget, and the Galaxy range is known to be popular. It has to be said that Samsung is something of a legend in the mobile phone world sitting at the top of the charts with a couple of other big names. Seemingly really in tune with their customer base Samsung seem to be able to produce hit after hit no matter what level they pitch their latest handset at. This phone is already proving popular and flying off the shelves. 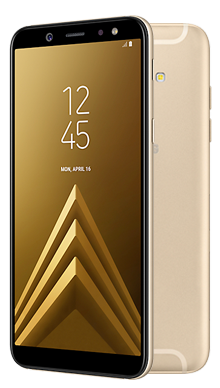 If you like the big screen smartphone look, then you will love the Samsung Galaxy A6. It is a now classic design with a slim bezel at the edges and slightly wider top and bottom. The top obviously houses the front-facing camera setup while the bottom is blank. As is typical of the Galaxy design there are no buttons, and the handset works with on screen soft buttons which keeps the front clean and clutter free. At just 7.7mm thick this is a lovely handset to hold and work with one hand. 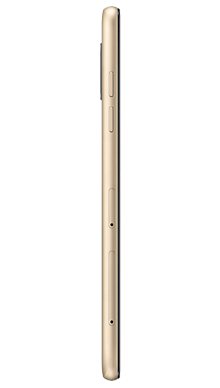 When it comes to the screen capability, the Samsung Galaxy A6 features a Super AMOLED toughened glass screen that measures a nice 5.6 inches. It has an aspect ratio that weighs in at 18.5:9 and a resolution of 1480 x 720 which makes this a great handset for watching movies and mobile gameplay. There is also the much loved Adaptive Display which is a little but of Samsung magic that corrects colour and ensures that everything is displayed in true to live colour. The rear of the handset looks stylish and features the biometric fingerprint scanner which has been ergonomically placed to fit a natural grip. Just above this is the rear-facing camera and flash housing and the overall finish is neat and good looking. There is never anything bad to say about the audio quality of a Samsung phone; it is something they do flawlessly every time. The Samsung Galaxy A6 has retained the standard 3.5mm headphone jack which will be music to the ears of many wired headphone fans, and the loudspeaker capability is also pretty first class meaning you can enjoy your movies without straining to hear. There are two cameras on the Samsung Galaxy A6, and they are really impressive. The front-facing camera is larger than many at 16MP, and they have matched that with a single lens rear-facing 16MP camera too. Combined with the supporting software you will be able to take millions of really great images that come up well even in low light, so you will be able to capture all those little moments you want to treasure forever. 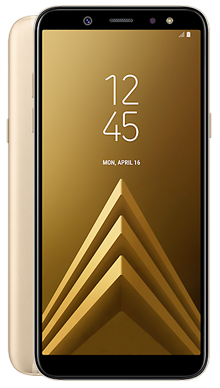 If you are hoping to find some powerful Samsung technology inside the Samsung Galaxy A6, then you will not be disappointed. Know for favouring their own chipsets this handset comes with their much-praised Exynos 7870 octa-core CPU guaranteeing you a great level of performance from your phone. The handset comes out of the box running Android 8 with the highly customisable Android skin over the top, and this is a Bixby enabled phone for you smart voice-activated assistant needs. Inside the Samsung Galaxy A6, you will find a battery of 3000mAH which is a great size for this handset and means that you will be able to go out and about and not have to worry about your juice until you get back the charger in the evening. Speaking of chargers, you will get a full charge in just under two hours from the Micro USB lead that is supplied with the phone. The Samsung Galaxy A6 is a really nice handset that comes with a great range of Samsung features. It has been pitched to the middle of the mobile phone field and yet has some high-end technology making this a great choice of phone for lots of different users and we are convinced that you will be delighted with the prices we have on offer. Because we want to ensure that every aspect of your mobile phone ownership journey is perfect, we also partner exclusively with EE. We know that they have amazing UK coverage when it comes to being able to make calls and access your 4G data no matter where you might be. They have an awesome reputation, and we are delighted to work with them. If you would like to find out more about the Samsung Galaxy A6 or have a question about any of the products we offer then why not call our UK based customer service team, and they will be delighted to help you, they can be reached on 0333 900 1144 and are waiting to take your call.